In May, our city is famous for the floral decoration known as “Girona Temps de Flors”. The old quarter (Jewish Quarter) is decorated during a week with a sample of a high artistic sensibility of flowers and other elements that makes it delightful to visit the city and meet its wonderful and unique patios of ancient palaces, Jewish residences, courtyards etc, these can only be visited during this week. 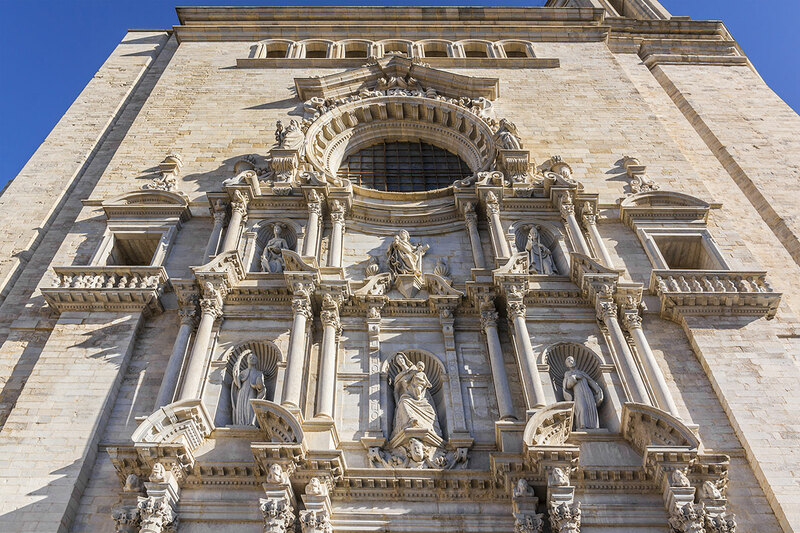 We emphasise the ornamentation on the big staircase of the Cathedral of Girona as well as the spectacular “Baños Arabes” from the Roman period. (They are known as Arab baths because they imitate the construction of Muslim bathrooms) They resisted during the thirteenth century the siege of the French troops in the city. So definitely you must not miss anything of this unique flower show.